An exhibition brought to you by Spring Singapore. Picture a world where traffic lights and road signs are different across the world. How would Singapore fare in a world without a common language called standards? Tracing Singapore’s developments since our humble beginning to the flourishing hub we now are, our quality infrastructure continues to play a key role in our social and economic developments. In this exhibition presented by Spring Singapore, learn how our infrastructure has made Singapore as a trusted hub and opened global opportunities for local businesses. This infrastructure will continue to shape our home into a Smart Nation that is ready for the future. 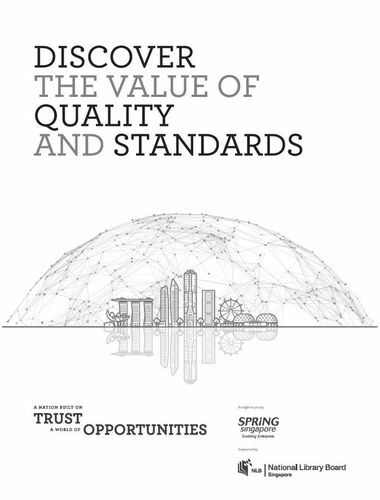 In The Business of Standards, see how our home-grown companies use standards to differentiate themselves from competitors, improve efficiency and gain inroads to international markets where their products are trusted, safe and of premium quality. Journey with us in A Day with Standards- go through your daily routine and uncover standards from the moment you awake, till you head to bed. From our homes to the society and economy, you would be surprised at how standards help make your day safer, more convenient, and more comfortable. Presented by Spring Singapore, a statutory board which helps Singapore companies grow and promotes internationally-recognised standards. There will also be a series of public talks where industry experts share on trends and insights on role and benefits that standards bring to the silver industry and our smart nation.